Andrew defends clients in a wide variety of employment matters, including class and individual wage and hour issues, employment discrimination, harassment and retaliation claims. He has also litigated claims involving trade secret misappropriation, ADA compliance and Cal-OSHA. In addition to litigating on behalf of his clients, Andrew provides preventative counseling to ensure compliance with federal, state and local employment laws and advises clients on personnel management decisions. Argued and secured summary judgment on a meritless retaliation and whistleblower claim filed by a former employee of a large national aerospace manufacturer. Obtained complete dismissal of a wage and hour class action filed against a global logistics company after more than five years of litigation. Argued and secured summary judgment on a meritless disability discrimination claim filed against a national food and beverage retailer by a former employee. Secured dismissal of a representative PAGA claim for a popular California restaurant chain, turning the case into a single-plaintiff wage claim that resulted in a complete defense victory after a six-day arbitration. At deposition in a wrongful termination case, elicited testimony from the plaintiff who admitted that he had no evidence to suggest his termination was for anything other than legitimate business reasons. The plaintiff dismissed his lawsuit after sanctions were threatened for the pursuit of a frivolous case. Convinced potential plaintiff to abandon his ADA compliance claim by demonstrating that there was no basis in fact or in law for his allegations because all ADA and state disability access laws were obeyed. Prior to joining Fox Rothschild, Andrew was an attorney in the Los Angeles offices of several law firms. During law school, he served as a judicial extern to the Honorable Debre Weintraub of the Los Angeles Superior Court, Appellate Division. 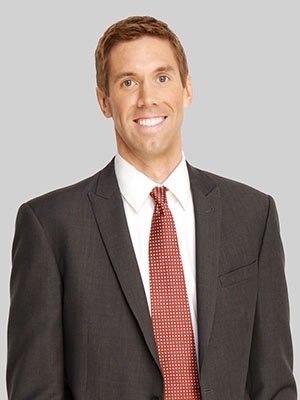 Prior to his practice of law, Andrew played volleyball professionally in Sweden as a member of Falkenberg Volleybollklub. He also served as a program associate for Enterprise Community Partners in Los Angeles, providing training and capacity building assistance to nonprofit housing developers. While in college, Andrew spent a year studying abroad at Lunds Universitet in Sweden.